As long as we're not talking about the awful 1977 version, there's no denying that King Kong is the captain of team Cinematic Simians. Both the 1933 original and Peter Jackson's 2005 remake are colossally entertaining pieces of cinema, and both Kong incarnations are impressive in their own right. But Jackson's is probably more memorable nowadays because of the terrific CGI and motion-capture work from Andy Serkis, who also helped bring Rise of the Planet of the Apes' Caesar to life. I'm convinced there's a reason so many children name monkeys as their favorite animal. I think at least part of that reason is Curious George, one of the most adventurous, mischievous, and lovable apes in movie (and book) history. Why? As strange as it sounds, he's relatable for kids. He's full of wonder and curiosity and, like most kids, he isn't afraid to cause a little bit of innocent trouble. Sure, he might not be the best role model for them, but he's an undeniable childhood favorite. The very best apes are loyal companions, and no cinematic simian is more loyal than Abu. Without him, Aladdin would have either starved to death or been jailed long before he had the chance to make Princess Jasmine fall in love with him. He doesn't have a ton to say, but with a rapport like theirs, who needs words? So get this: Dunston is an ape and world-class jewel thief. But he wants to leave the crime world and enlists the help of a hotel manager's young sons. But the manager is concerned his hotel might lose out on its elusive six-star rating if Dunston doesn't behave himself, so he hires Paul Reubens (yes, Pee Wee Herman) to kill the orangutan. I think they call that perfection. Not all apes are created equal. 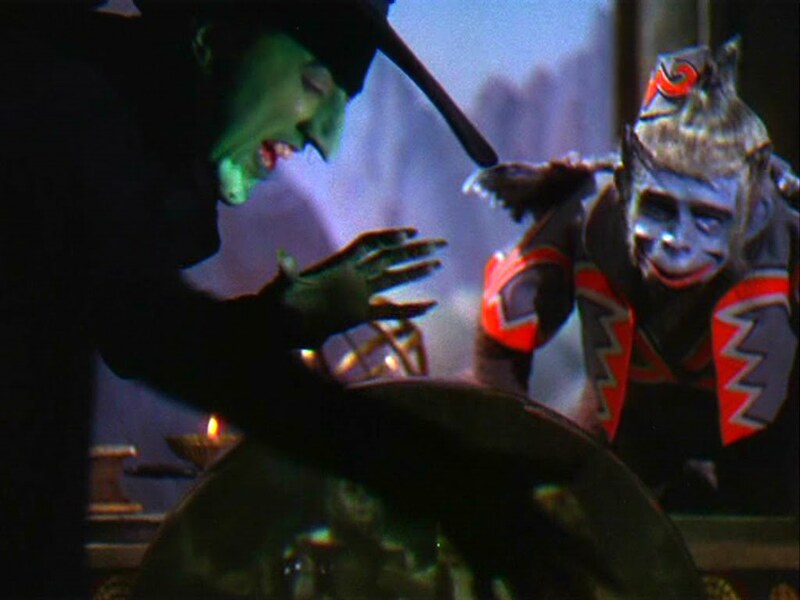 Where King Kong is a tragic hero, and Abu is a loyal sidekick, the flying monkeys in the 1939 classic are frightening creatures devoted to the dastardly Wicked Witch of the West. Now, according to original "Oz" novels, the monkeys were free and benevolent creatures who, after pulling a prank on someone, were punished to follow the command of anyone in possession of a Golden Cap. Apparently, the film's director, Victor Fleming, never got the memo. There's nothing fun or tragic about these characters. All they do is give children nightmares. That said, there's no denying their place in monkey history.